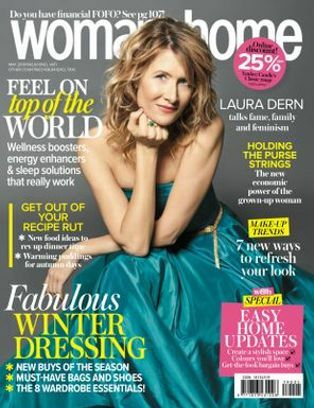 Personal trainer, Laura Williams has devised an exclusive walking plan that’s easy, fits in with your life… and works. 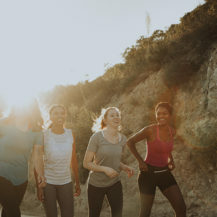 A Canadian study found that women who walked briskly for around an hour a day for over three months, shrunk the weight around their middle by 20%. And if that wasn’t enough, celebrities such as Jane Fonda and Jennifer Aniston also swear by the method – if we weren’t convinced before, we are now. Over six weeks, our plan will take you gently through to being able to walk eight kilometres at a good pace quite easily – you’ll feel fitter and more toned. Lunchtime Workout Walk – walk slowly for 5 mins, then walk at your moderate pace for 5 mins, before walking slowly again for 3 mins. Repeat once. Morning Wake-Up Kilojoule Burner – walk at a slow pace for 4 mins, then spend 16 mins doing 8 repeats of the following: power walk for 1 min, before walking at a moderate pace for 1 min. Finish off by walking at a slow pace for 5 mins. Weekend Kilojoule Blitzer – walk for 1,5km at a moderate pace. 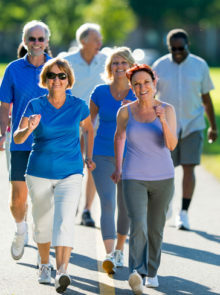 Lunchtime Workout Walk – warm up by walking slowly for 5 mins, then walk at your moderate pace for 10 mins. Repeat once. Morning Wake-Up Kilojoule Burner – walk at a slow pace for 3 mins, then take 20 mins doing 8 repeats of the following: power walk for 1,5 mins, before walking at a moderate pace for 1 min. Finish off by walking at a moderate pace for 5 mins. Weekend Kilojoule Blitzer – walk for 3km at a moderate pace. Lunchtime Workout Walk – warm up by walking slowly for 3 mins, then repeat the following twice: walk at your moderate pace for 7 mins and your fast pace for 3 mins, before walking slowly for 5 mins. Morning Wake-Up Kilojoule Burner – walk at a slow pace for 3 mins, then take 9 mins doing 6 repeats of: power walk for 1 min, moderate-pace walk for 30 secs. Then, alternate 1 min of fast pace with 30 secs of slow, six times over 18 mins. Walk slowly for 2 mins. Weekend Kilojoule Blitzer – walk for 4km at a moderate pace. Lunchtime Workout Walk – warm up walking slowly for 3 mins, then walk at your moderate pace for 8 mins and your fast pace for 5 mins. Walk slowly for 3 mins. Walk at fast pace for 3 mins, and moderate pace for 2 mins: repeat this bit twice more. Walk slowly for 2 mins. Morning Wake-Up Kilojoule Burner – walk at slow pace for 3 mins; then take 20 mins doing 10 repeats of: power walk for 1,5 mins, moderate-pace walk for 30 secs. Then, alternate 2 mins of fast pace with 30 secs of slow, twice over 10 mins. Walk slowly for 2 mins. Weekend Kilojoule Blitzer – walk for 5,5km at a moderate pace. Lunchtime Workout Walk – warm up by walking slowly for 3 mins, then repeat the following interval twice: walk at your moderate pace for 12 mins, and your fast pace for 3 mins. Finish off by walking at a moderate pace for 5 mins. Morning Wake-Up Kilojoule Burner – walk at a slow pace for 5 mins, then walk at a fast pace for 5 mins, and a moderate pace for 3 mins. Repeat a total of 3 times. Weekend Kilojoule Blitzer – walk for 7km at a moderate pace. Lunchtime Workout Walk – warm up by walking slowly for 5 mins, then repeat the following interval twice: walk at your moderate pace for 10 mins, and your fast pace for 5 mins. Finish off by walking at a moderate pace for 5 mins. Morning Wake-Up Kilojoule Burner – walk at slow pace for 5 mins. 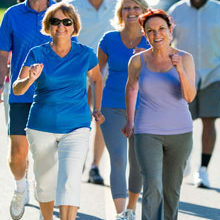 Then repeat the following 3 times: walk at a fast pace for 7 mins, and a moderate pace for 3 mins. Finish off by walking slowly for 5 mins. Weekend Kilojoule Blitzer – walk for 8km at a moderate pace. Understand the different levels of walking intensity, based on your Perceived Rate of Exertion (PRE). 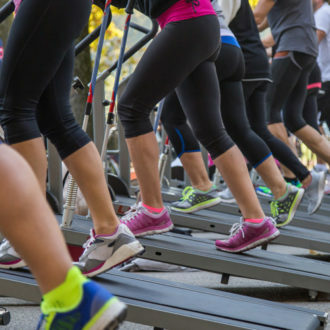 The PRE scale starts at 0 (no exertion), and goes up to 10 for your greatest effort.